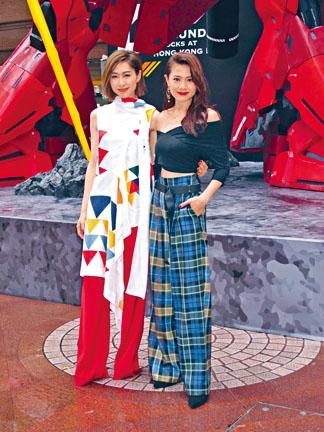 Nancy Wu Ting Yan, Chrissie Chau Sau Na, Miss Hong Kongs Louisa Mak Ming Sze and Crystal Fung Ying Ying yesterday attended the Japanese anime Gundam exhibit. Sister Na revealed that she will soon work with Gillian Chung Yun Tung, Jeanne Chan Ying and Carrie Ng Ka Lai on the film PRISON FLOWERS (NUI JI GAM YUK). She would play a bullied prisoner and perform without any makeup.